We are doing export declaration, what exit point can we indicate? You can indicate FI542300 (Nuijamaa). At this moment, Finnish customs accepts export declarations with exit points indicated for other countries. We kindly ask you to indicate some of Finnish exit points because this saves time for both us and the customs authorities. If a Finnish exit point is not indicated in the export declaration, customs authorities have to download information from the common European database. Sometimes there are technical problems with this process and the shipment is stopped. A T1 is a transit document used to transport goods from the customs office at the place of departure to the customs office at the destination without paying customs duties and taxes within the territories of the countries included in the transit agreement. Examples of when a T1 document is used. A shipment sent from the United States to Finland arriving by air at Helsinki-Vantaa airport. If the Finnish consignee is not ready for import clearance, we issue a T1 and collect the shipment from the airport and keep it at our customs bonded warehouse. The customs bonded warehouse closes the T1 document. A shipment sent from China arriving by sea in Finland at the port of Helsinki where the final consignee is in Russia. We collect the shipment by truck and make a T1 document that is for the Finnish-Russian border. Customs authorities close the T1 document at the border. A shipment sent from Russia to Germany by road. We do all of the export formalities in Russia and issue a T1 at the Finnish-Russian border. The T1 indicates a customs office destination in Germany. In Germany, your forwarder (or our partner) can close the T1 document and can do all import formalities. Looking for our VAT number? Our VAT number is: FI23199454 but please read the information below! What should we do if we send goods to Russia via Finland? Your solution is a normal export declaration. A closed export declaration proves to your tax authorities that the goods passed the EU border and that you have the right to sell them without VAT. Please note that our company F1 Express Oy is not a trading company. We only offer logistics services. We only buy goods for our company needs, not for resale. Only our service and goods suppliers receive payments from our Finnish bank account. The payee is F1 Express Oy. Please note that we receive regular information about companies that indicated sales to our VAT number. 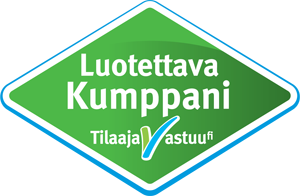 We send every illegal use of our VAT number to the Finnish tax authorities! Please contact us first. We have to ensure that your customer understands imports expenses. We can also deliver alcoholic beverages to a business consignor’s used excise warehouse. If you are sending from an EU country, you can only send alcoholic beverages to our terminals under proper export procedure (with export declaration based on excise declaration). Because of customs authority policy, please note that we cannot receive alcoholic beverages without the proper export procedure, even if you are sending it to an individual person. In Finland we have well-known alcohol brands and many small brands that are not widely known in the world. We ship alcoholic beverages and we would be happy if you trust us with your delivery. We can attach your country’s excise marks if necessary or we can attach other labels on the boxes or bottles. We can repack your shipment in better carton boxes if needed. We can take care of the necessary export documents for your Finnish supplier. We have bought goods from a British supplier but the goods arrived in Finland under T1 status, why? European customs legislation does not allow the delivery of export goods on irregular vessels. This type of shipment is not considered to be normal European freight (status C) if the shipment’s final destination is outside of the EU. The export declaration closes in the port of departure and the shipment arrives in Finland under T1 status. This situation typically happens with a shipment going from Great Britain and Ireland to a final destination in Russia. For the end consignee, this status change creates some additional transit costs. What to do to avoid it? Please ask us to organize delivery from Great Britain or Ireland or ask your transport company if they can deliver goods in C-status. We have bought goods from American company and their Italian supplier has sent the goods to your consolidation warehouse in Finland with a final destination in Russia. You have bought goods from the American company without VAT. The American company has bought goods without VAT from their Italian supplier. The Italian supplier has sold goods without VAT and needs confirmation that the goods passed the EU border. To accomplish this, the Italian supplier has to indicate the following on the invoice for the buyer: American company, for final delivery address - final consignee in Russia. The export declaration should be made based on the Italian exporter’s invoice. Many companies in Switzerland can be in the same situation. But please note: some European countries are registered as VAT responsible. This means that it is possible that the company and goods in question are considered to be intra-community supply. Our tax specialist will ensure that the export participants understand the export sales policy and make sure that no part of the supply chain will be in trouble with local tax or customs authorities.